This page displays a collection of environmental and sustainability (green) online videos about ethics, values, principles, spirituality, and religion. 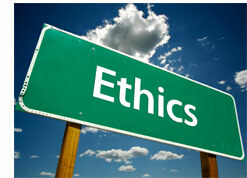 Video topics include ethics and sustainability, environmental justice, and animal protection. Ethics and values play an important role in our decisions to promote sustainable development and protect the environment. Religion and spirituality can help give deeper meaning to efforts to build a sustainable future. Environmental justice relates to the creation and enforcement of environmental laws and policies that treat people fairly regardless of race, culture, or any other socio-economic factors. Finally, our moral and ethical obligations extend to protecting the many other species with whom we share the Earth.